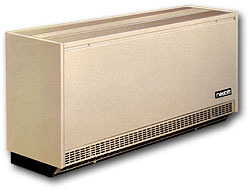 NesbittAire is a leader in the manufacture of quality HVAC equipment. Since 1917 NesbittAire has been supplying classroom heating, ventilating, and air conditioning equipment for new and replacement applications. The NesbittAire line of Horizontal Unit Heaters are available in twelve sizes for either steam or hot water service with capacities ranging from 19,100 BTU/Hr to 370,000 BTU/Hr. NesbittAire storage cabinets are designed to compliment your classroom unit ventilator installation and provide safe storage of classroom materials.